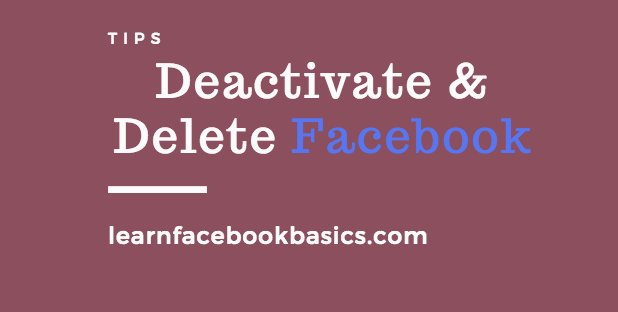 How to Deactivate or Delete Facebook Account Link Permanently Right Now: Should you delete or deactivate Facebook account? Learn what the difference between deleting and deactivating Facebook account in this new article. See How to Reset Password on Facebook. How to deactivate Facebook temporarily? Click here if you wish to deactivate Facebook temporarily. Please share this Facebook article!